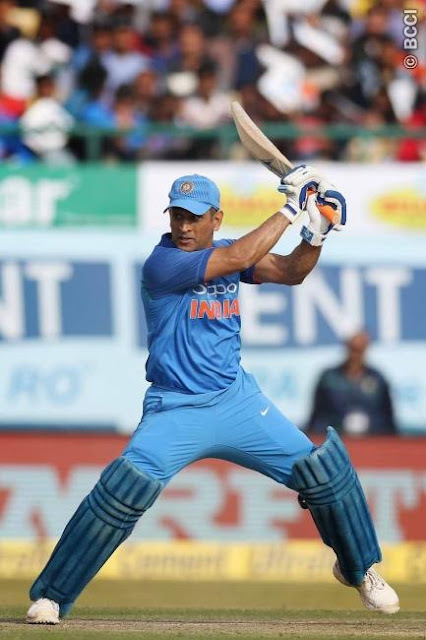 2,0,9,0,2, ** , 10,0,19,0,0 reads our scorecard and at 29/7 Indians were certainly looking at one of the worst performances ever in ODI Cricket, thanks to thala Dhoni whose 65 ensured that it did not happen as India ended at 112. The soaring six to the 2nd tier brought some joy for the Indian fan, who otherwise felt choked in the fresh mountain air of Dharamsala. When the ball seamed a bit, Sri Lanka's opening bowlers - Lakmal and Angelo Mathews - repeatedly hit the perfect length: just fuller than good. On a surface with sufficient, but not exaggerated, lateral movement, that length becomes even harder to negate. Batsmen are indecisive with their footwork and therefore shot selection and that is what the scorecard reflects .. Remember that the lowest against India was by Bangladesh, who were shot out for 58 and in that match Mohit Sharma (remember CsK) took 4/22 and .. .. and Stuart Binny had enviable figures of 4.4-2-4-6. Some of you may know that spell by ex-coach Greg Chappel in that Benson & Hedges WS Cup match at Sydney way back on Jan 8, 1981- Chappel had figures of 9.5-5-15-5 – Indians were all out for 63 (their 2nd lowest) chased easily by Aussies losing just a solitary wicket. On that day, Gavaskar chose to play in middle order, Chetan Chauhan opened with Roger Binny, followed by Dilip Vengsarkar, Viswanath, Gavaskar, Yashpal, Kapil Dev, Syed Kirmani, Karsah Ghavri, Yograj Singh and Dilip Doshi. If you are to worry of our worst performace, it came in ODI 1652 against Sri Lanka at Sharjan in Oct 2000. Sanath Jayasuriya made 189 and Lankans made 299/5. Chasing Indians were defeated by 254 runs, getting bowled out for 54. That line up had Saurav Ganguly, Sachin Tendulkar, Yuvraj Singh, Vinod Kambli, Hemang Badani, Robin Singh, Vijay Dahiya, Sunil Joshi, Agarkar, Zaheer Khan and Venkatesh Prasad. Chaminda Vaas took 5/14 while Mutiah Muralitharan had figures of 6-3-6-3. The lowest ever in ODI thus far is Zimbabwe’s 35 against Lanka at Harare in 2004; followed by Canada (36); Zimbabwe 38 again against Lanka, Sri lanka 43, Pakistan 43, and Zimbabwe 44 against Bangladesh; Canada 45 and Namibia 45 being the other totals below 50. The ** mark at the start represents Dhoni’s 65 which propelled India to 112.